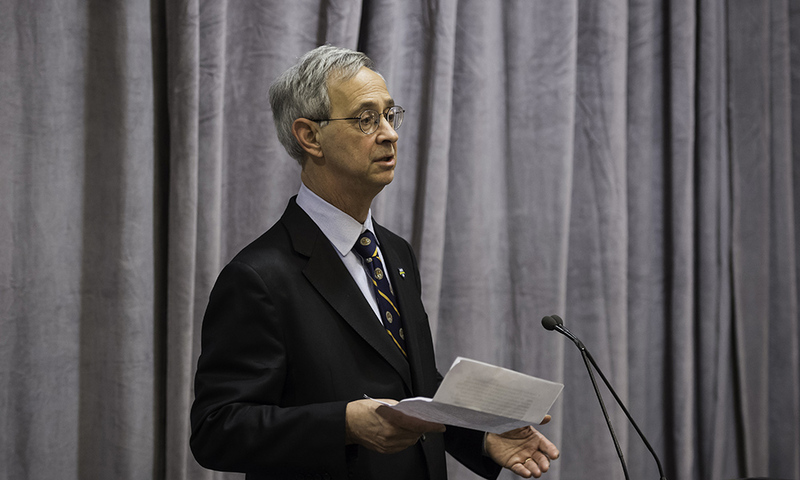 President and CEO Joel Seligman announced his resignation Thursday, effective February 28, bringing to a close one of the more transformative chapters in University leadership. Nevertheless, he said, the divisiveness created by a semester-long independent investigation of the University’s handling of allegations of sexual harassment and retaliation involving a faculty member has made him recognize the need for a new leader for Rochester. The results of that report, also released Thursday, largely confirmed the findings of two University-led investigations, both of which found there wasn’t enough evidence of harassment to warrant personnel action against the professor. “It is clear to me that the best interests of the University are best served with new leadership, and a fresh perspective to focus on healing our campus and moving us forward in a spirit of cooperation and unity,” Seligman said. Seligman announced his decision to the University’s Board of Trustees before the findings of the independent investigation, led by former SEC chair Mary Jo White, were presented to the board. While recommending that the University “take a number of bold steps” to improve its policies, White said investigators found Rochester had largely followed its policies as they were written at the time of the allegations and agreed that none of the allegations violated sexual harassment laws. Danny Wegman, chair of the Board of Trustees, accepted Seligman’s resignation and commended him for his tenure as Rochester’s chief executive. Wegman cited a list of Seligman’s leadership accomplishments, including the completion of the University largest capital campaign, the establishment of 112 new endowed professorships, a 40 percent increase in student enrollment, an increase in student achievement scores, diversity, and international enrollment, the construction of nearly 30 major new facilities, and others. Under Seligman’s tenure, the University has become the largest employer in the Greater Rochester area and the sixth largest employer in New York State. White’s report examined how the University handled a set of complaints filed by current and former members of the Department of Brain and Cognitive Sciences about the behavior of Florian Jaeger, a professor in the department. After a University investigation and an appeal of that investigation found that Jaeger had not violated applicable University policies, the group filed a complaint with the U.S. Equal Employment Opportunity Commission on August 30, 2017. They alleged that Jaeger had created a hostile work or educational environment for women in the department that affected the women’s access to educational opportunities. White, during a press conference and in meetings with faculty, staff, and student and administrative leaders over the course of January 11, said investigators found no evidence that Jaeger had engaged in unlawful sexual harassment, given the policies then in place, or that that the University had retaliated against those who brought complaints against him or about how the University handled their complaints. The policies, White noted, have since been revised. But she said the University should “promptly take a number of bold steps” to begin healing a sense of distrust created by the allegations. Appointed president in 2005, Seligman serves as Rochester’s 10th president. The Board of Trustees is expected to appoint an interim president while a search for Seligman’s successor is under way.